The hours are usually long on a production set. So, it’s not surprising that crews and talent alike prefer to spend their downtime in truly comfortable settings. In Westchester, the Hollywood A-List, busy filming here, has zeroed in on the Crowne Plaza White Plains where comfort, convenience, and amenities fit the bill. 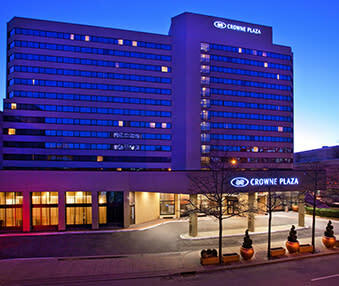 At the Crowne Plaza, their every request will be swiftly fulfilled. The 402-room Crowne Plaza is a spacious venue by city standards, and offers some of the roomiest guest rooms in the county, according to General Manager Monika Henry. “We’re able to accommodate large crews, and one of our best features is that everything is within walking distance. 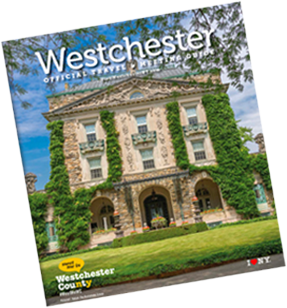 The Westchester Mall is across the street; Mamaroneck Avenue with its great restaurants is just two blocks away; and we even have a Whole Foods nearby,” she notes. In addition, the Crowne Plaza offers 24-hour room service and Mix Bar, named best bar in Westchester County, right on the premises. The hotel also offers amenities like a gym, a pool, and plenty of parking for cars and large trucks. The key to enticing the film industry, according to Henry, is being flexible and working to customize the experience. The one thing Henry and her staff won’t do, though, is name drop when it comes to guests. Even with the flurry of feature film activity in White Plains this year, the hotel staff is tight lipped. “We provide complete anonymity to our guests, both past and present,” she notes. So if you’re a celebrity looking to enjoy Westchester outside the glare of the paparazzi, the Crowne Plaza is the perfect spot for you.